Darden, UVA’s business school, is the business school ranked 11th in the US. Darden is a prestigious school and only 25% of applicants are accepted. I built a predictive model to see which factors are most and least important for Darden admission, the results may surprise you. It is not shocking that increasing your GMAT will raise your Darden admission chance. The average GMAT score for accepted students at UVA’s business school is 706. 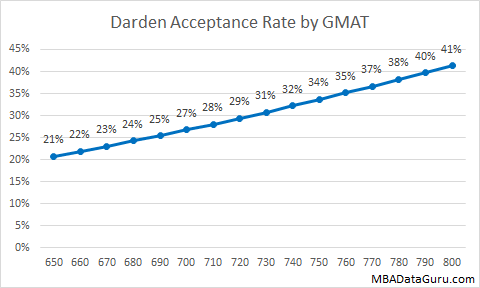 If you were to increase your GMAT by 100 points from 650 to 750 when applying to Darden, you would raise your acceptance rate by an impressive 62%. Even at a GMAT score of 650, chance of acceptance is still over 20%. Shockingly, GPA has little to no impact on your chance of admission to Darden. The average GPA of accepted students is 3.52. 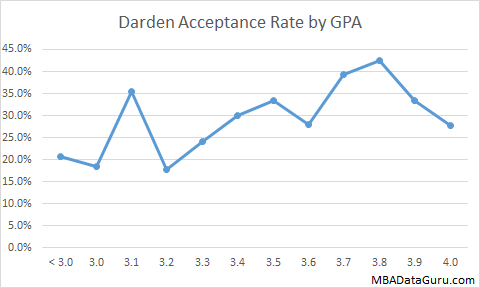 When I ran a regression model on factors that predict the chance of acceptance at Darden, GPA was one of the first variable eliminated. The graph above confirms my conclusion, a person with a 4.0 GPA has only a slightly higher chance of admission than a person with a 3.0. 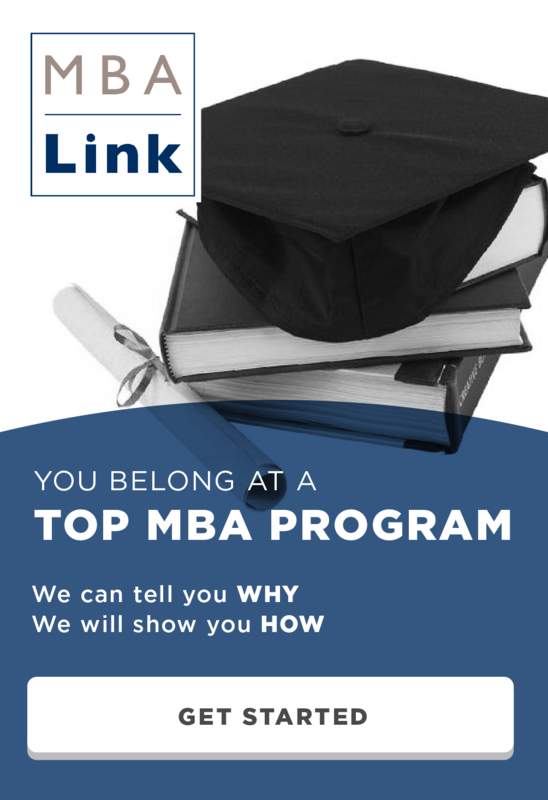 If you have a low GPA and a high GMAT, then Darden is a great school for you. Recently I performed an analysis of MBA acceptance rates by application round. 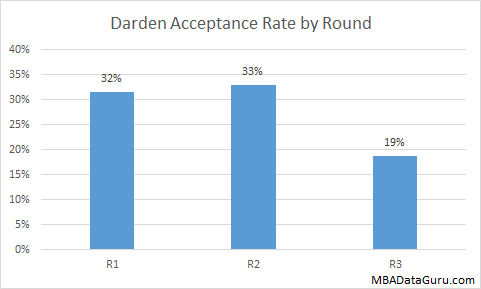 The Darden MBA acceptance rate was noticeably lower during round 3. When building the Darden predictive model I confirmed that the low round 3 acceptance rate was in fact statistically significant. Although round 3 applicants still have a fairly reasonable 19% acceptance rate, it is still significantly lower than the round 1 and 2 Darden admission rates. If you are on the fence about applying round 3 to Darden, you might as well wait for next year. Similar to Wharton, Darden MBA applicants from India have roughly a 75% lower chance of admission. Computer science majors also have a similarly low chance of being accepted, coming in at 11%. This entry was posted in Admissions, Darden, GMAT, GPA, MBA and tagged Admissions, Application, Darden, GMAT, GPA on March 4, 2015 by Data Guru. 2. Do you think there would be value in separating the Indian applicant population from the general population when presenting your data? It seems like this should be considered a separate population given the strikingly different acceptance rates. Thank you again and I will keep reading! For many schools the GPA / GMAT matrix would make sense. However at Darden GPA does not appear to be an important factor for admission. Since GPA is not part of my model, I couldn’t make the matrix you requested. It is unfortunate that so many schools seem to have a bias against Indian applicants. I’m not sure how helpful it would be to separate Indian vs non-Indian applicants in my data. I think it is more important to know which schools penalize Indian applicants and which don’t.